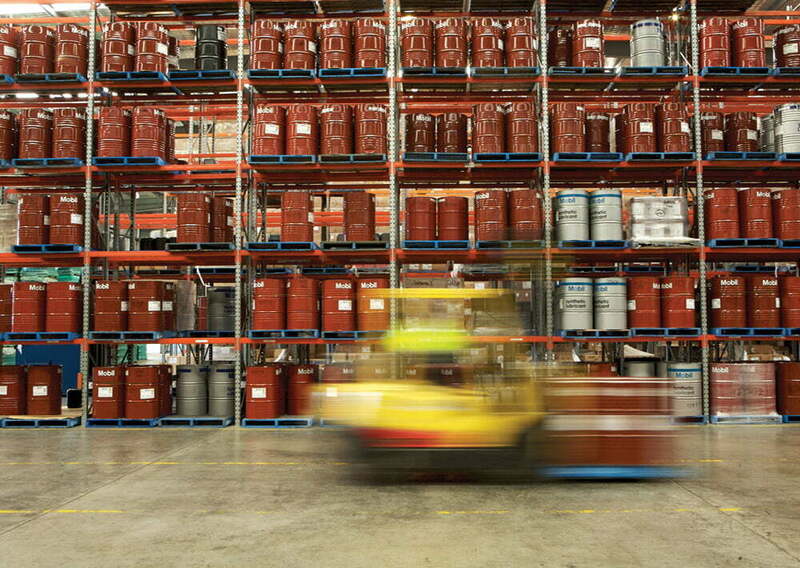 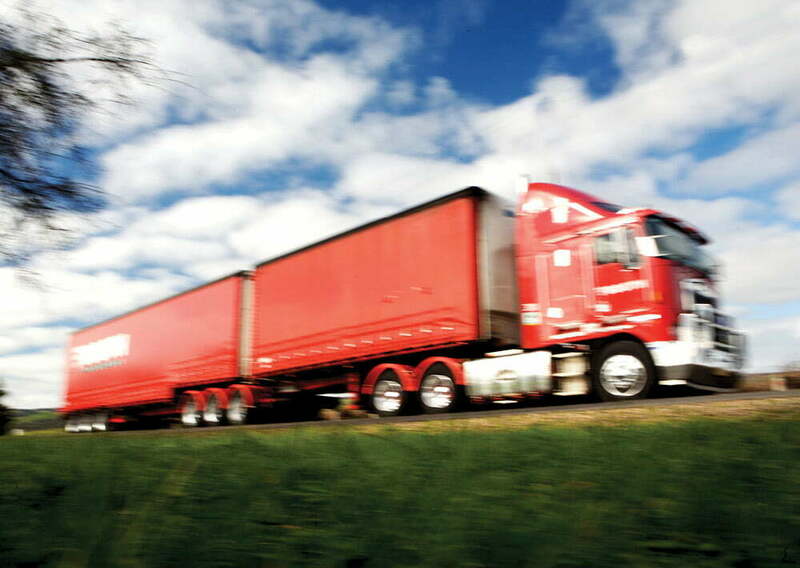 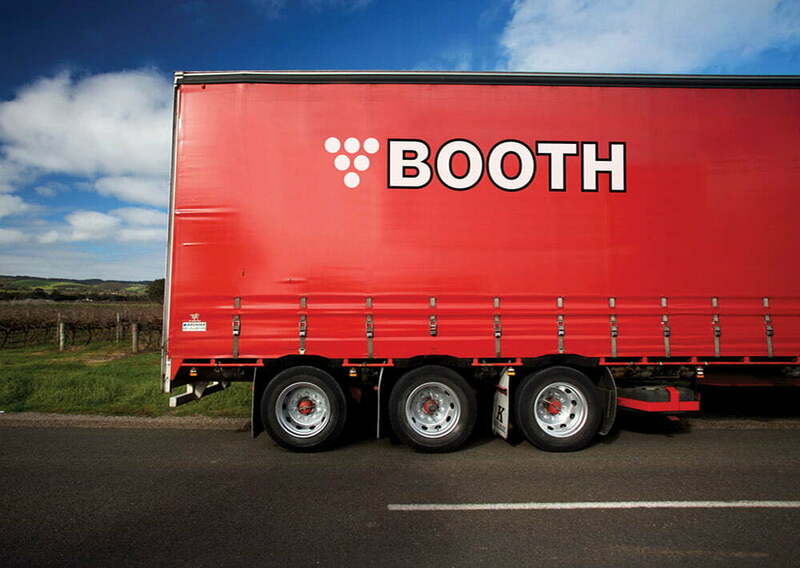 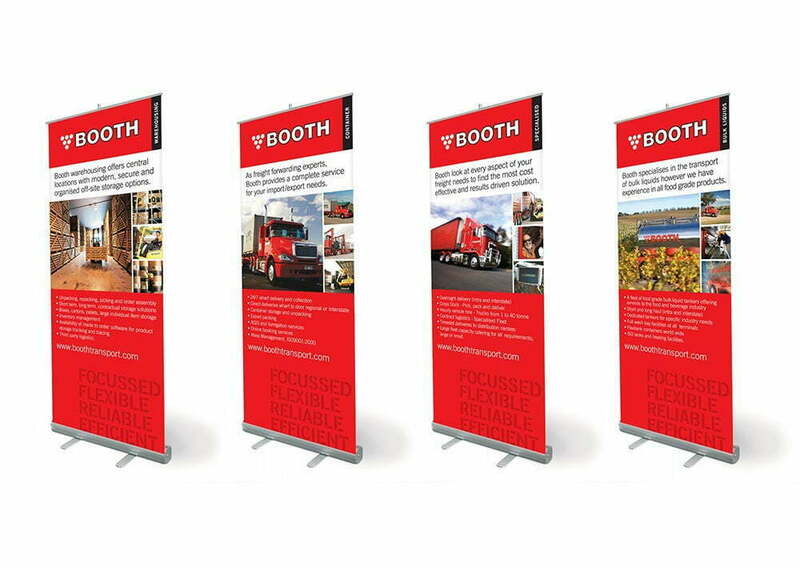 Booth are an International transport company specialising in the transportation of bulk liquids. 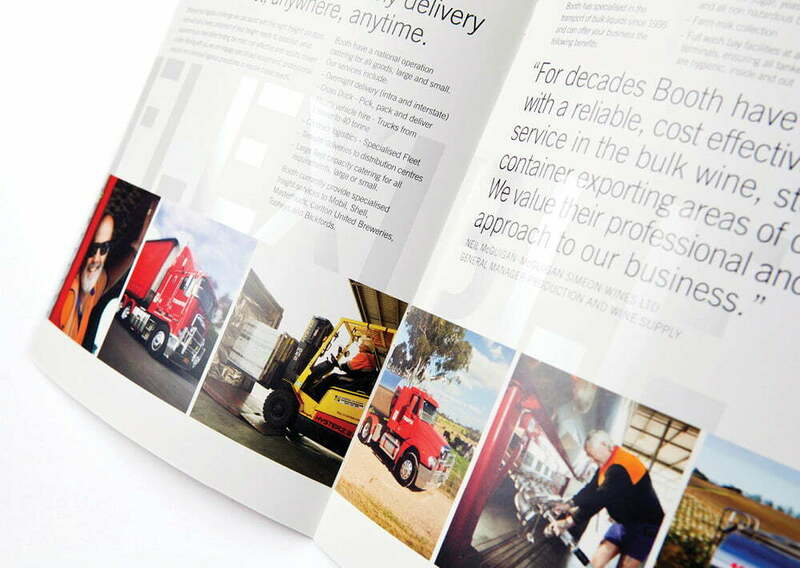 Expanding beyond the wine industry, Booth required a corporate brochure outlining the breadth of their services and capabilities. 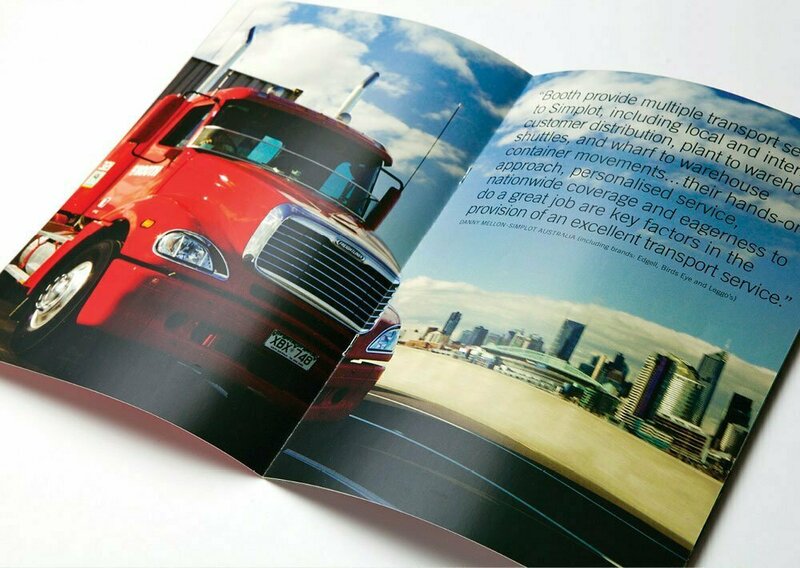 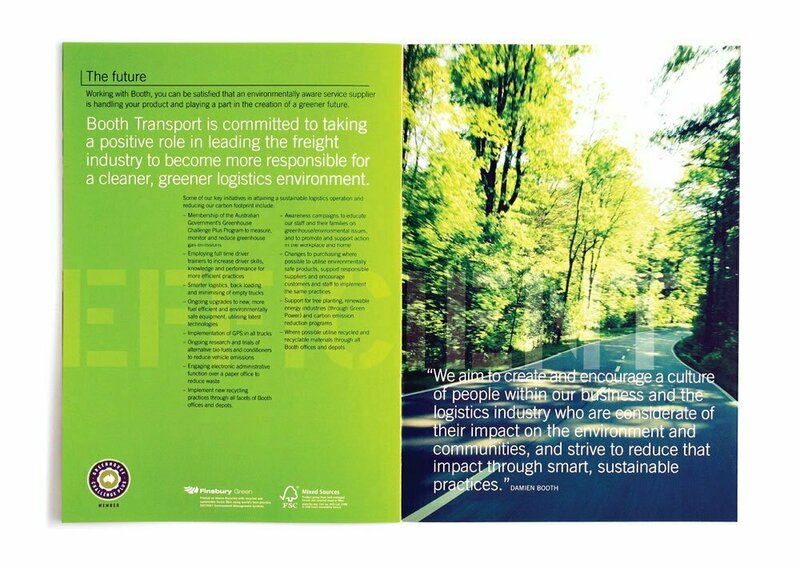 Other applications included stationery, promotional collateral for international markets, banners and resources for their website. 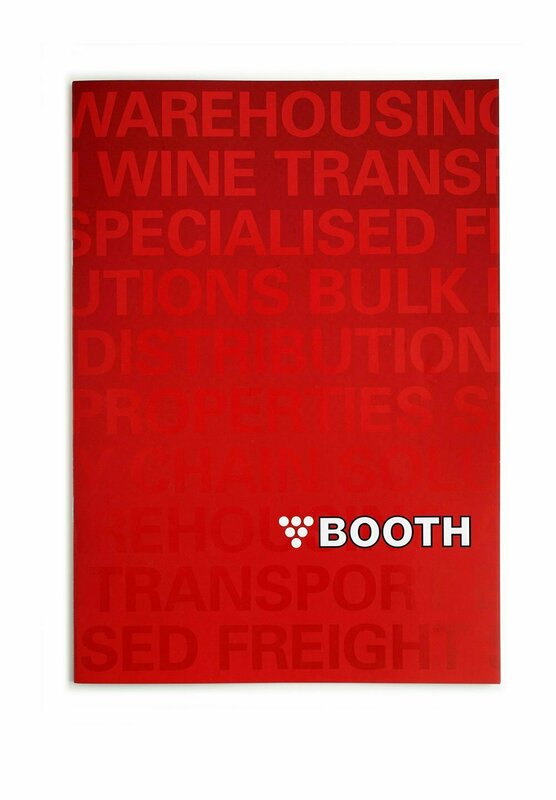 Toolbox also art directed of a suite of brand images of the Booth operations for a range of applications.